In its response to an EC advisory, the Revenue Department has claimed that it understands the concept of non-discrimination while carrying out its duty. But the tax department’s action against Opposition leaders does not support that assertion of “neutrality”. “It was made known that the tone wasn’t acceptable to the Commission. They have been told that the Commission would not want to get into all raids undertaken by I-T authorities, but expects to be suitably informed of ones that are related to electoral malpractice. They should inform the CEO and submit a full report after the investigation is complete,” said an official. The meeting came a day after the CBDT released a statement on the I-T searches at the premises of relatives and aides of Madhya Pradesh Chief Minister Kamal Nath. The CBDT claimed that it had detected a “widespread and well-organised racket of collection of unaccounted cash of about Rs 281 crore”, including transfer of Rs 20 crore to the “headquarter of a major political party in Delhi”. On Tuesday, the EC also wrote to the I&B Ministry asking it to direct DD News Channel to “desist from extending any preferential or disproportionate airtime coverage in favour of any party”. The EC noted that airtime coverage to different parties was “not balanced”…”which is not in accordance with the principle of maintaining neutrality and level-playing field”. As reported by The Indian Express on April 6, the BJP has got the most coverage on DD News and its regional channels since the announcement of Lok Sabha elections, followed by the Congress, according to details submitted to the EC. The gap, in terms of airtime granted, is learnt to be significant. 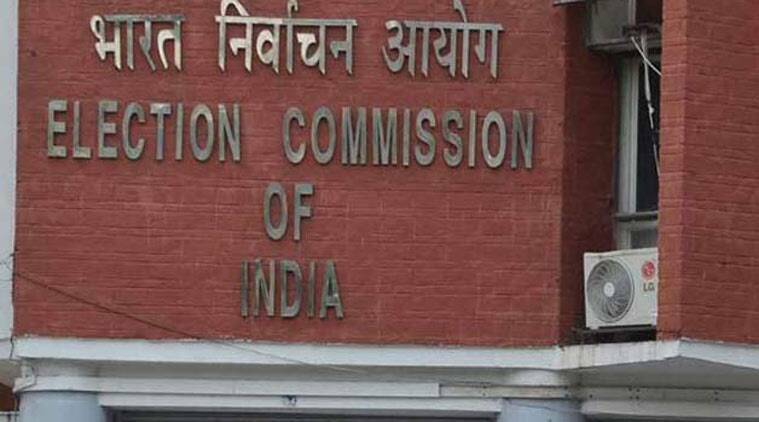 That apart, last week, the EC is learnt to have denied permission to the Home Ministry for the second phase of special remission to prisoners, as part of commemoration of the 150th birth anniversary of Mahatma Gandhi, scheduled on April 6. The ministry had sought clearance from the EC under the Model Code of Conduct, but has been asked to put it on hold till the elections gets over. 2 Amit Shah on Rahul’s Wayanad show: Is it in India or Pakistan?